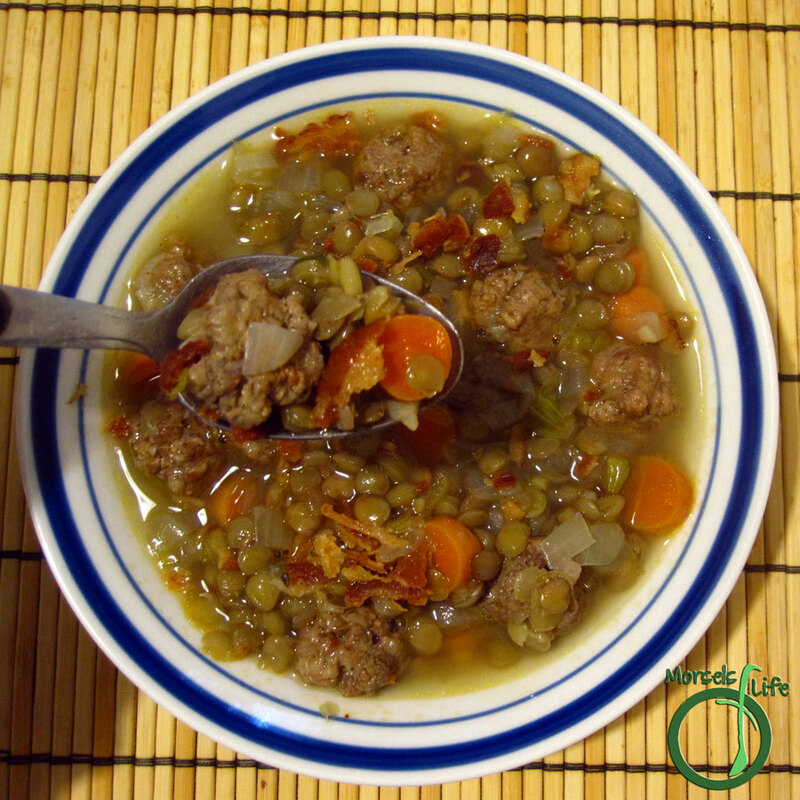 A warming soup with lentils and sausage flavored with onions, celery, carrots, and a bit of garlic and topped with a bit of bacon. With all this cold rainy weather, I've been wanting more soups. Fortunately, I found this recipe on Cheap Recipe Blog. I can always go for a cheap recipe - as long as it's tasty too, and this lentil sausage soup certainly qualifies! I substituted a few materials since I made this soup during Hurricane Sandy and wasn't about to go out for some tomatoes! Instead, I added some celery and bacon for extra flavor. I cooked the onions, carrots, celery, and garlic a bit to bring out some additional flavor. If you're short on time, you could easily dump everything into a pot and just let it simmer away for a warm and tasty soup. Sauté onion, carrots, celery, and garlic in a bit of oil until fragrant. Add remaining materials and simmer until lentils cooked.